What is the Presidents for Entrepreneurship Pledge (PFEP)? As a NACCE member, you can learn from others’ experiences and perspectives, gaining vital insight into the way entrepreneurial thinking and action impacts real-world ecosystems. 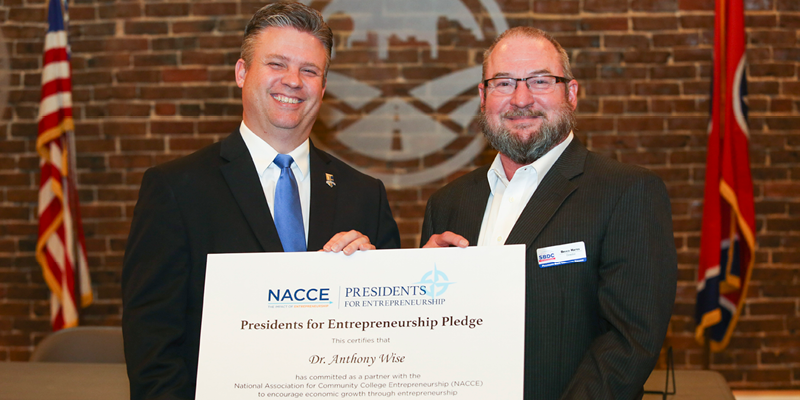 For example, you can learn how college leaders use NACCE’s Presidents for Entrepreneurship Pledge to meet challenges and explore untapped opportunity. Through this important tool, community college presidents commit to five action steps that advance entrepreneurship in their communities and campuses and support local startups and small businesses.